Today’s post is a retro story from my days running the largest direct marketing agency in Oz. As DM took off in the 1980’s, marketers started investing some of the funds they traditionally invested in brand advertising, into direct response activities and databases. The amazing result was that our sister brand agency became our biggest competitor, because they viewed the client’s funding decision as us stealing their budget. They didn’t care about the client and the fact it was the client’s money, which the client could spend as they wished. Thousands of management hours were wasted in discussions about orchestras, whole eggs, holistic or 360 degree service and other labels, to try and protect the advertising agency’s budgets. The clients were inconsequential of course. On one occasion we were working jointly with the advertising agency on a campaign for a gas company. This particular client supplied specialist gases for the medical industry, food storage, fish farming, retail and loads of other unusual uses. The client had asked the Direct agency to create a series of magazine ads because they’d lost confidence in the advertising agency. The agency had taken too long to respond to the brief and the media deadline was fast approaching – national magazines by the way. 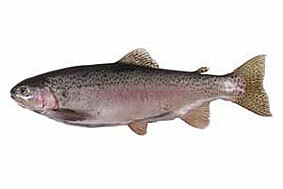 A photograph in one of the ads was of an Atlantic Salmon. The ad featured the special oxygen gas used in the farming of said fish. So along we trotted with our client to the famous Sydney Fish Markets and selected three beautiful farmed salmon for the shoot. After the shots were taken we had a dinner party at the Account Director’s home, where everyone got roaring drunk and full of fresh cooked salmon. When the account handler at the advertising agency heard about this, he became somewhat peeved. How dare the Direct agency do his job in less time than it took for him to get a quote to the client! So unbeknownst to anyone, the account handler from the advertising agency went to the seafood markets, bought a fish and had it shot by a different photographer. He then had new artwork created at the advertising agency and instructed the magazine publishers to replace the original approved artwork supplied by the Direct agency, with the new artwork. Yes, this is true, in case you’re wondering aloud if I’m telling a fishy story. On the day the magazines hit the street, the client and all their customers opened them to see an advertisement with the headline “Meet the Atlantic Salmon” underneath a photograph of an Ocean Trout – which is an entirely different fish. To say we were gobsmacked was an understatement. What black magic had mysteriously changed our photograph? Something fishy was afoot (that’s the last pun). After all, the client had selected the salmon, attended the shoot, signed the final artwork and eaten the salmon. The fish farmers were giving the client a very hard time and (as you could imagine) the client was demanding answers from the agency. Eventually we discovered what had happened and hooked the account handler. Not only did the advertising agency have to cover the costs of two sets of artwork, but also the media fees for full page colour ads in national magazines – the damage amounted to tens of thousands of dollars. As you would expect the advertising agency didn’t keep the account, although the account handler kept his job as his boss thought he showed initiative. Nothing like big advertising ideas to get you promoted. What’e sad about this story Malcolm is that it is still happening today. A while ago we were doing a print job for an agency and it was large posters of lovely ladies wearing a new swimming costume range. We received the artwork and photo’s, it then went to proofing stage, that’s when it hit the fan. No one from the agency had noticed at the shoot that when the white one piece costume got wet it was completely see through, you could even read the label that was inside. When it was bought to the attention of the agency their solution was to fix it with photo-shop, which solved the problem of not having to do another shoot, great! When the client realised what was happening the agency had to do the shoot over at their cost. Aaah where would agencies be without Photoshop! As a client I always knew the agency side was full of sharks!! !